Thanks for using NewsSquares. We hope the transition from Google Reader is smooth for you. In this update (1.5.2), unread counts are added for normal squares. Note that this feature will be turned off for users with more feeds. To turn it on please go to the options page. After importing your feeds to NewsSquares, please remember to check out the new management page that allows you add, remove, or label feeds easily. Many users should already know that Google Reader will not be available after 1 July 2013. Due to this change, FeedSquares will no longer be available after 1 July 2013 as well. Please consider to use our Chrome Web App NewsSquares. Though it currently syncs with Google Reader as well, an update will be made to NewsSquares in the near future. Some Google Reader specific features may have to go, but our core NewsSquares experience will remain. For those who prefer a light and visual way to read feed and share them. NewsSquares will be your choice. If you prefer more intensive reading, with FULL existing Google Reader features, we believe there are many alternatives on the market. If you migrate to NewsSquares now (before 1 June 2013, but we will recommend you do it much earlier) your subscriptions will be immediately available to NewsSquares. No automatic migration is possible after 1 June. Note that, however, we cannot preserve all of your data from Google Reader, like your starred items, sharing history, notes etc. So we would strongly suggest you to use Google Takeout to export your data, e.g. 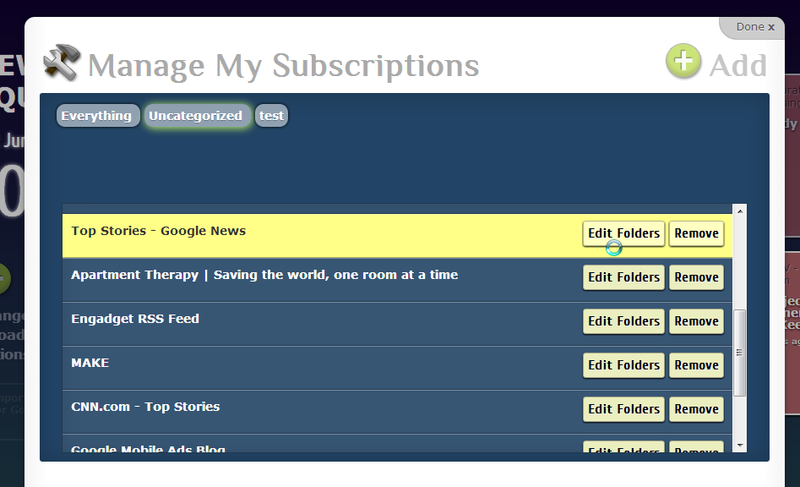 subscriptions, starred articles etc. The exported format aren't quite human readable though. They are meant to be imported by other RSS reader programs. For starred items, re-share it to other social sites like Google+, Facebook or Twitter etc. For items shared by you, re-share it to other social sites like Google+, Facebook or Twitter etc. Anyway give NewsSquares a try and happy reading! Hey we got your emails. Google Reader is closing down and many of us are sad to see her go. In a future update, we will introduce a new way for NewsSquares to store your preferences and readings. Some of the more Google Reader specific features may have to go, but our core NewsSquares experience will remain. NewsSquares will continue to offer you the most stylish reading experience on Chrome. We will update you when the new changes arrive. Thank you for using NewsSquares! It's been some time since the last update. In this update, a lot of pending bugs have been fixed. Please feel free to give us suggestions on improving NewsSquares. Just use our new feedback form in the Chrome Web Store. Enjoy! By the way, fancy having your own Mobile App for your fansite, but don't want to spend thousands to hire a developer? Come check out our Publish5 App on Chrome Web Store. We now support both Android and iOS App creation!